As experienced golf marketing experts, Group Golf works exclusively in the golfing industry. 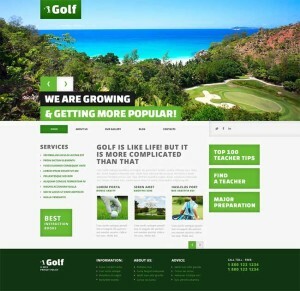 We have designed GGWeb to address the needs of golf course promotion. We think we have suceeded beyond expectation. GGWeb builds a custom website using your logo, wording, colours, and images. 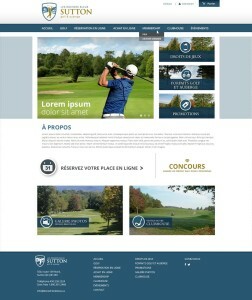 Build a website to match your golf course. Make your website dynamic, reflecting the current situations and needs of your golf course. You have the flexibility to modify the content of your website at any time. Did we miss something? No problem! GGWeb can easily create customized pages. 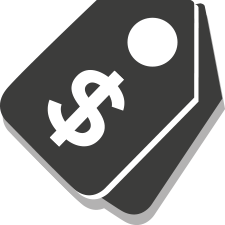 GGWeb is connected to the REDBOOKGOLF online sales platform. Your golf promotions and packages posted in the e-commerce section of the online REDBOOKGOLF website are automatically posted on your course’s website. Your customers shop according to their schedule on your website. They complete their purchase through a seamless redirect to the REDBOOKGOLF secure Web server. This service is offered at no additional cost to course members of REDBOOKGOLF. Remember: posting coupons on REDBOOKGOLF is free to all golf courses in Canada! GGWeb is a WordPress-based platform, the most widely used tool for website creation. It is solid and tested with companies of all sorts and sizes around the world employing it for their websites. We build responsive design websites working on all mobile platforms. 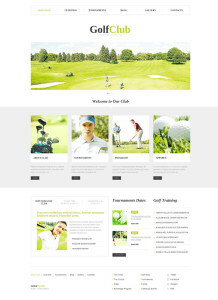 Our website template, the most comprehensive of existing golf course websites, is also one of the least expensive. The formula is simple : we concentrate our efforts on our speciality - selling golf! Our team of experts is efficient and professional. The GGWeb service allows us to respond to your needs in real time. It's simple! Pay one time and the website is yours!